The nose is aromatic, elegant and fine. It reveals notes of Boysenberry, blueberry and cherry cream combined with slight notes of cassis cream, toasted oak (delicate), tobacco, licorice, nutmeg as well as a hint of cloves and spices. The mouth is fruity, nicely built, elegant, racy, aerial, quite supple and offers a beautiful acid frame, a beautiful racy minerality, freshness as well as concentration. On the palate, this wine expresses notes of blackberry and cherry cream combined with slight notes of crushed cassis, crushed strawberry, chocolate/oak, cardamom, licorice and slight notes of sweet spices. Tannins are fine, elegant and (very) slightly firm. 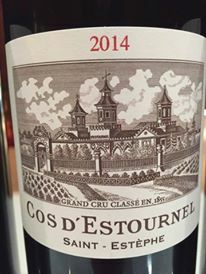 Good length and beautiful aromatic persistence. The finish is relatively suave.